Dr. Saar Gill obtained his medical degree and Ph.D. from the University of Melbourne in Melbourne, Australia. He specialized in malignant hematology at the Peter MacCallum Cancer Centre in Melbourne, and then undertook post-doctoral training in blood and marrow transplantation (BMT) research at Stanford University. He has been at the University of Pennsylvania since 2011, where he is now an Assistant Professor of Medicine. 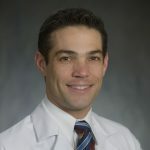 His clinical expertise is in the treatment of patients with leukemia and in BMT. Dr. Gill runs a research laboratory focussing on chimeric antigen receptor (CAR) T cell therapy for leukemia.